I just wonder about your cruise since I left Budapest. I always watch the pictures that I made on your boat. Parliament and Buda Castle or Chain Bridge, all the buildings are fantastic. 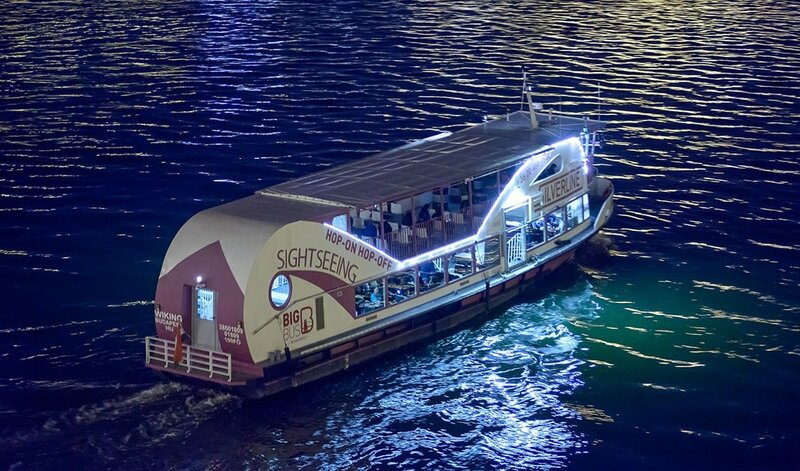 I offer to everyone to try River Cruise because 75 minutes was totally enough to see everything from the City. I did not remember what was the building which was so shiny at night, I think Hungarian Theatre, I wanted to go closer for,but I couldn’t. I don’t mind, next time I will go by Silverline Cruise again,because I was alone, my family must see this. Az útvonalleírást hiányolom, milyen útvonalon közlekedik a hajó? A hajó a 11 es dokk kikőtőből indul az Erzsébet híd mellől a Pesti hídfőtől. Ezt követően a Margít híd és Rákóczi híd között szakaszon tesz köröket. Városnéz hajó esetén 1 kört, vacsorás hajó esetén 2 kört. Can I buy voucher for a group as well? Do I get discount? I would need it for 21 people. Az lenne a kérdésem, hogy a pizzás hajó és a városnézős ugyanaz-e? Ha igen, akkor lehet-e a jegyet módosítani a dokknál, ha most csak a városnézőset veszem meg? Lehet módosítani a beszállóhelyen a jegyet, egy úgynevezett upgrade jegy megvásárlásával. Night cruise is a must. 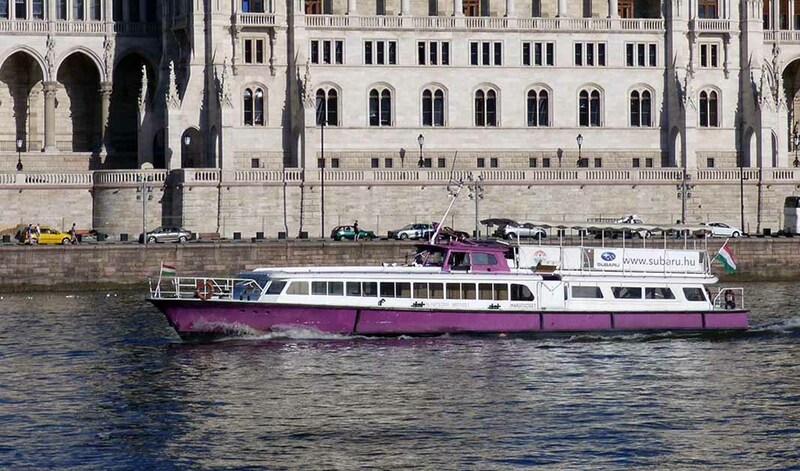 Cruising in Budapest is amazing since most of the interesting sites are near the Danube river only. Cruising is the most comfortable and advantageous way of sightseeing. Budapest is maybe the most beautiful city the Danube touches, so it would be a shame to miss the opportunity for a river cruise. 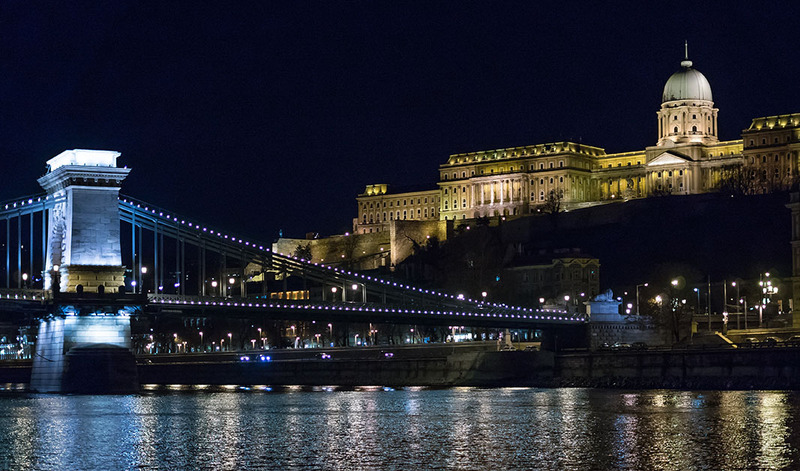 The panorama of the city is truly breath-taking and it is even more enchanting if you happen to see it from a cruising ship on the Danube. On board, you can marvel in the capital’s beauty, in its most spectacular buildings and you can take a look at the bridges of the Danube from a unique perspective, all while avoiding crowds of tourists. Join us on this not usual sightseeing tour and you will have the opportunity to learn about the rich history and culture of Budapest while enjoying the amazing panorama of both side. Even during the day, you can discover a lot more from the middle of the Danube. At sunset, the colors are changing and Budapest became like a golden „Eldorado” as the dark blue sky and the illuminated buildings are reflecting the contrast. Do not hesitate to be a part of this mesmerizing experience. Since we have audioguide in 11 different languages, you can choose the best for you and enjoy it in the language you understand best. The only thing you have to do is to ask our team members upon arrival to set up the preferred language for you and give the audioguide to collect a better knowledge of the buildings seen around while floating on the river. Our luxurious cruise is ideal for all those, who would like to explore Budapest, but want more than a simple sightseeing tour. Casual buses or discovering Budapest by walk have its advantages, but if you really want to get a preview of the atmosphere of the original Budapest, of a dream our ancestors dreamed about then definitely have a look from an absolutely different perspective. If you happen to become peckish during the cruise, you can choose from a variety of street food options available on our ship just like the different type of panini or piadina choices for example. Besides what else could be a great sightseeing food if not the Hot Dog we can prepare for you on demand. Or you would be more like a sweet tooth type? No problem, we can prepare Belga Waffeln, Chocolate fondant for you as well. Cruise with us on the Danube on a ship with a unique design, built in 2013. Our cruise ship is unique both in its technical qualification and appearance, it is a truly special sight on the Danube. Lay back, relax and enjoy the amazing panorama of Budapest! We offer a 75-minute long cruise, with an audio guide which gives you plenty of interesting and important information about the capital while you are enjoying the breath-taking view. Our ship sets sail from the center of Budapest, from under the Elisabeth Bridge, it proceeds to the Margaret Bridge, where it turns back to the direction of the Rákóczi Bridge. The starting point and finish of the cruise is the same location. 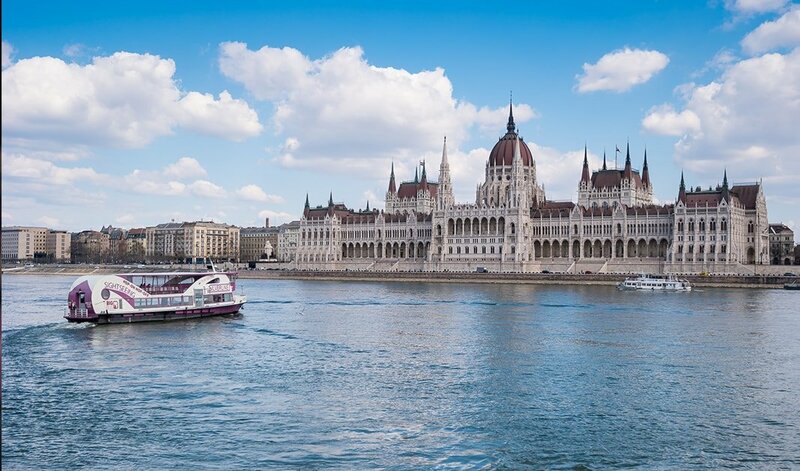 Our Budapest Sightseeing offers a 75-minute long cruise, with an audio guide which gives you plenty of interesting and important information about the capital while you are enjoying the breath-taking view. Our ship sets sail from the centre of Budapest, the Elisabeth Bridge, it proceeds to the Margaret Bridge, where it turns back to the direction of the Rákóczi Bridge. The starting point and finish of the cruise is the same location.